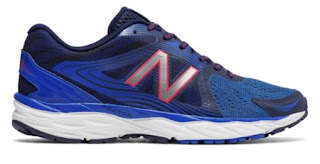 Today ONLY these Men's New Balance 680v4 Running Shoes are $42.99 (Retail $74.99). Gather new motivation to step up your running game in the 680v4 men's running shoe. Engineered materials give you the comfort you need without adding bulk and ABZORB cushions your stride for superior support while you move. Go forth confidently, knowing that the miles ahead are full of plush cushioning and breathable mesh. Perfecting the blend of performance and style, the men''s 680v4 features engineered mesh, a no-sew material application and a rubber outsole so you can run with confidence and comfort.